Duke Production presents “Jah Faya Riddim” a new version of the classic tune “Jah Fire Will Be Burning” by Maestro Augustus Pablo and “Blessed Youth” Hugh Mundell. Addis Pablo delivers a melancholic, deep and captivating melodica version. 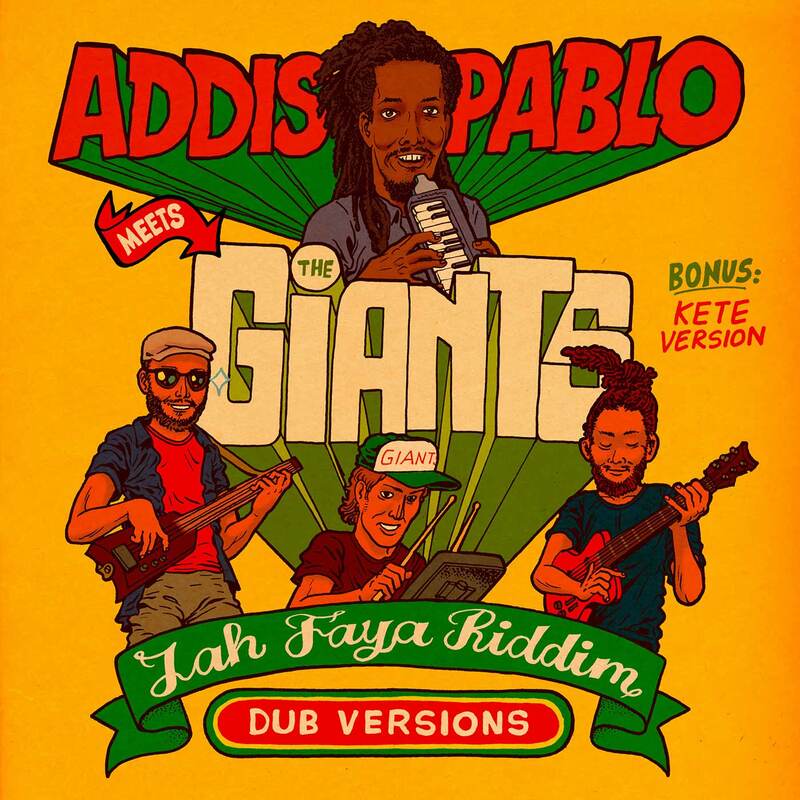 It is during his stay in Sion that Addis comes to share moments of pure positive vibrations with the musicians of “The Giants” on stage and in the studio. They record together an exclusive version on this riddim originally composed by his father. The Giants increase the tempo by adding their touch. On the B side an organic oldschool Dub version is proposed where the Kete and percussion are in the spotlight. Duke Production teamed up with the talented art designer Ralph Niese who delivers a majestic artwork in the 70’s comics style.